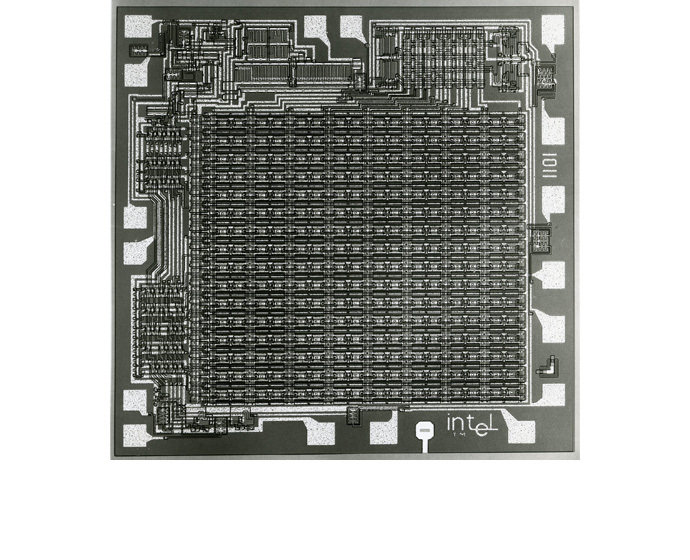 Intel’s 1101 static random access memory (SRAM) was the first high-volume metal-oxide semiconductor (MOS) memory and the first chip to use silicon gates. The device was the result of a challenging development process. The conceptual groundwork for metal-oxide semiconductor memory had been established before Intel’s founding, but no one was even close to a commercially viable mass production method. The task of developing one was daunting. Nevertheless, the development team pushed forward with singular focus. Gordon Moore and Tim Rowe, meanwhile, began experimenting with chemical “dips” for the silicon to see if they could improve the materials bonding process. The company’s determination paid off in dramatic fashion one day when one of those chemical experiments unexpectedly produced a wafer that produced 25 die instead of the usual two, bringing the MOS well past its target yield in an instant. Everyone was astonished — when Vadasz learned what had happened, he began jumping up and down yelling “It’s a super dip!” over and over. “We proved that MOS silicon gate could make it that day,” Rowe said. 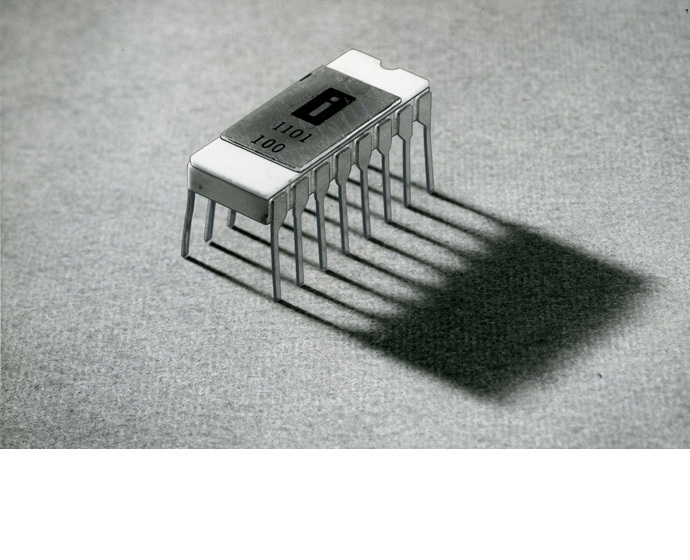 The process technology developed for the 1101 became the industry standard and a key revenue source for Intel. 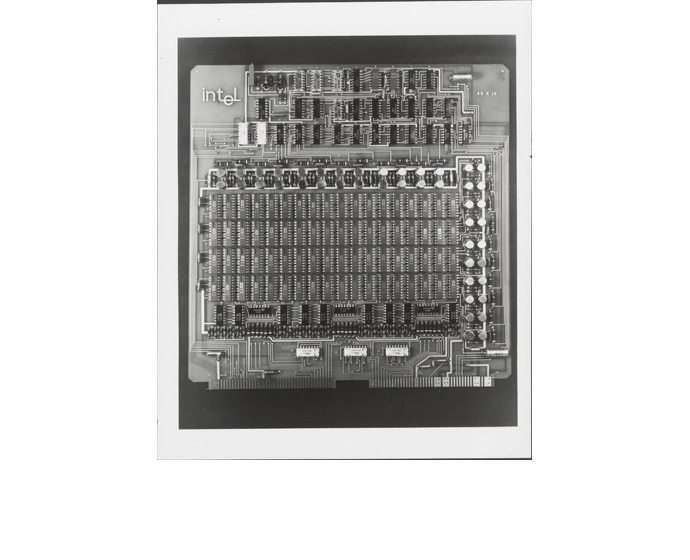 And while Intel’s first product, the 3101, had already established the company’s ability to improve on established technologies and manufacturing processes, the 1101 established the company’s ability to develop industry-changing new ones.